Your own early life experiences, including the biggest one - how you were born, are imprinted strongly in your nervous system and can greatly influence how you live your life today. Much of how you view the world, the daily and life choices you make, and your behavioural patterns began with these earliest imprints. The Limbic Imprint ReCoding process takes you back to your beginnings with a powerful, in-the-body experience of true nourishment, love and safety from conception to birth. A combination of movement, breath, deep awareness and the brain’s amazing capacity for neuroplasticity, the LIR offers your nervous system new reference points of wellbeing, and a sense of trust and calm. 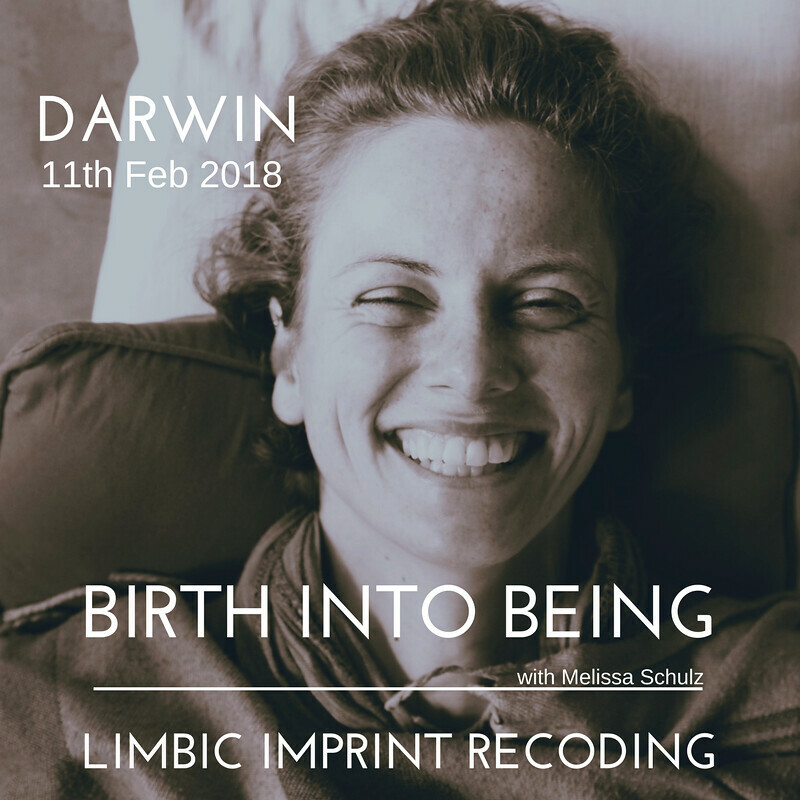 Realigning your internal compass to the truth and beauty of birth and life as it can be, this simple yet highly effective processes will transform any less than optimal early imprints, allowing greater connection to self, love, life, creativity and purpose. Join us on February 11th and re-imprint yourself with true nourishment, love and safety as your first experience of life, for an improved quality of life today. For anyone who had a less than ecstatic birth or entry to life and would like to activate and embrace themselves, into an easier more joyful way of being. "Birth Into Being (Limbic Imprint ReCoding) has shown me ways to work through my emotions. Thanks for giving me new tools that I can use on my daily life. Birth Into Being has reminded me to take care for myself. Thank You!" JJ Polit, Townsville May 2014.